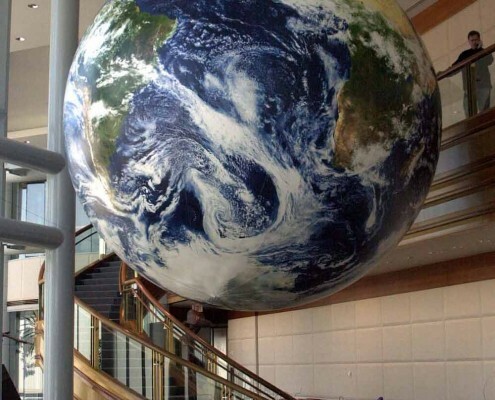 There are many Orbis EarthBalls in lobbies and entrances around the world. 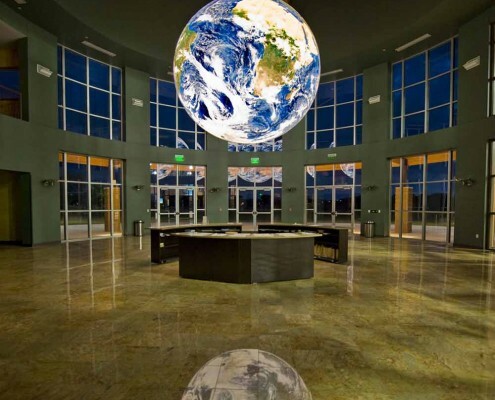 These breath taking globes create a powerful first impression. 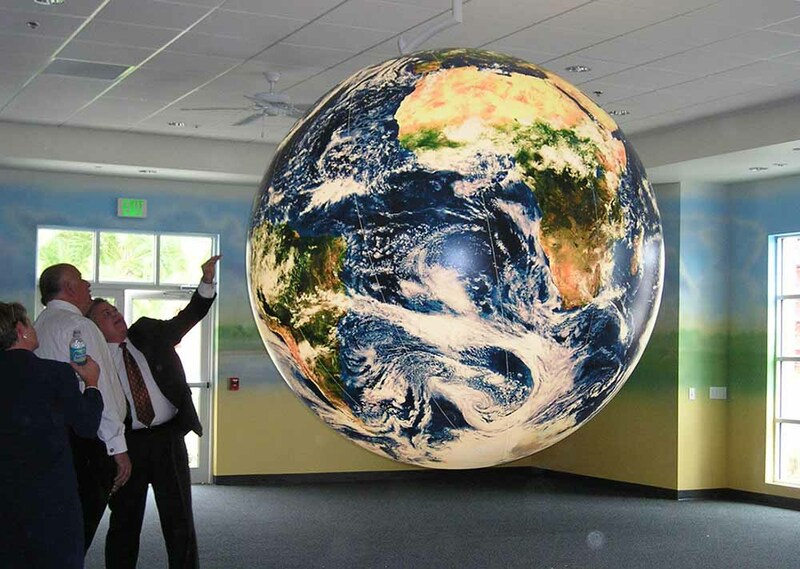 We’ve seen visitors just stand and stare at a beautiful, rotating EarthBall. 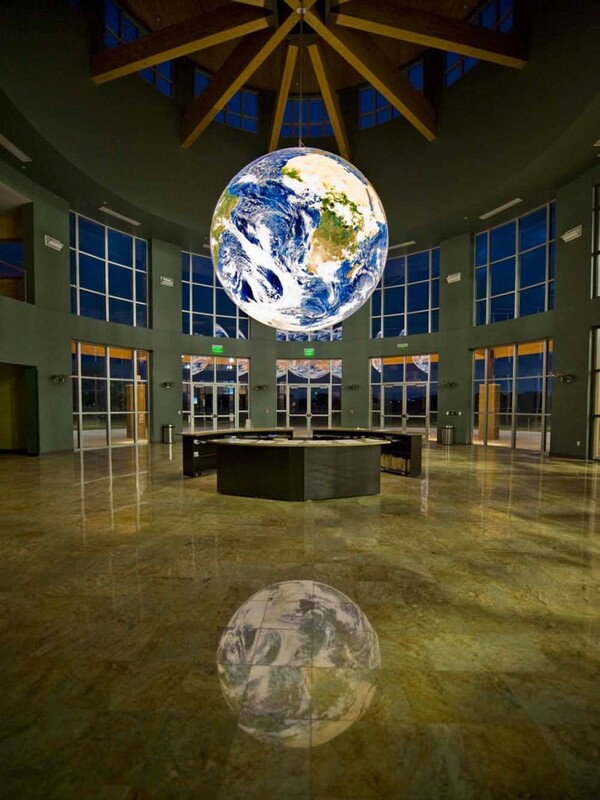 Orbis’ giant globes adorn the entrances of churches, conference centers, schools, university, non-profits and businesses. 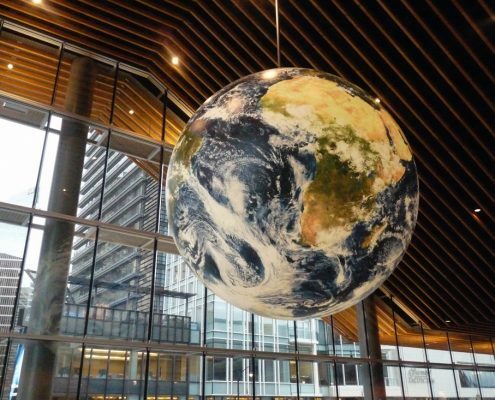 These beautiful, inflatable EarthBalls draw all eyes to them. 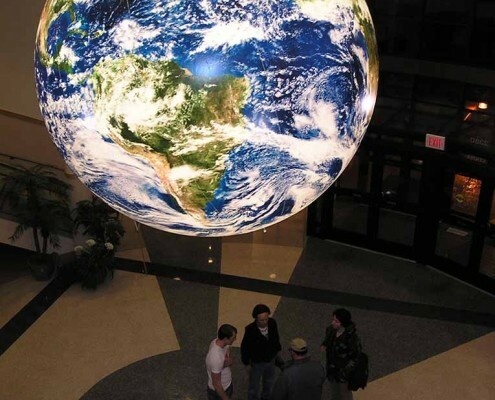 They become the instigation and backdrop for many important conversations. 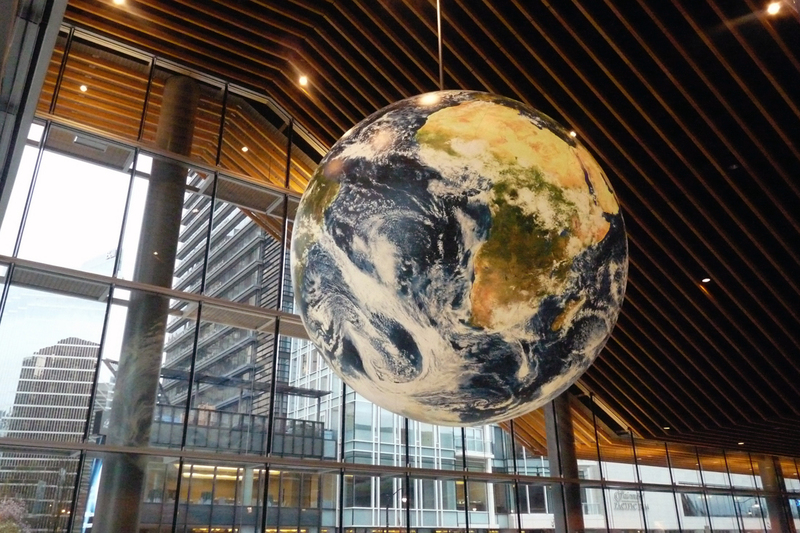 Most lobby globes are permanently installed. A few, however, are not. 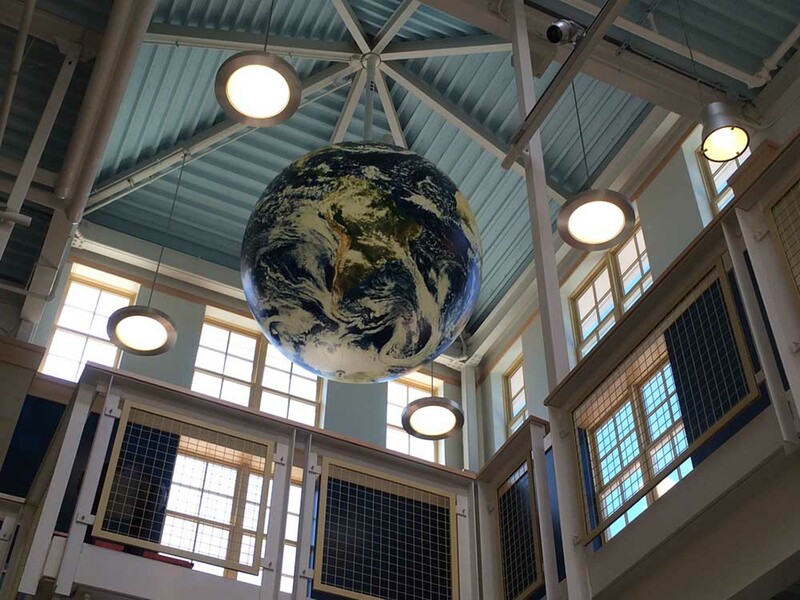 These globes were created to be taken down and moved. 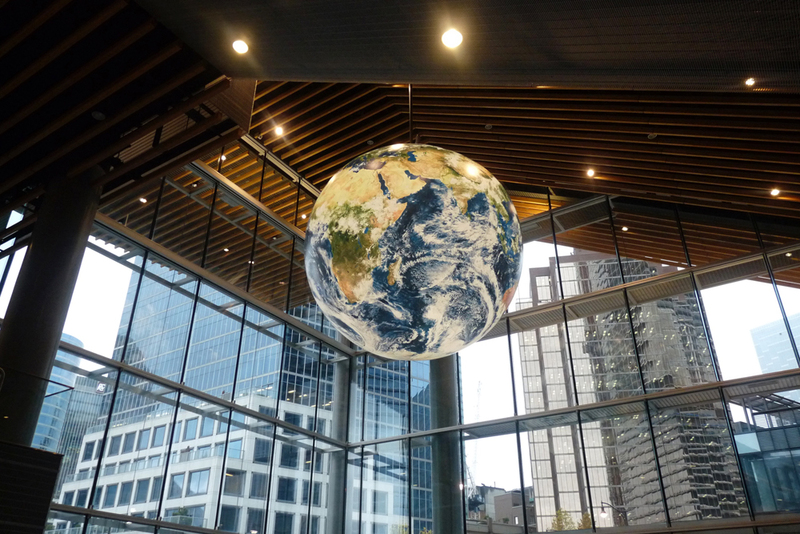 They are used on special occasions, in press events, conferences and tradeshows, when they aren’t adorning their lobby. 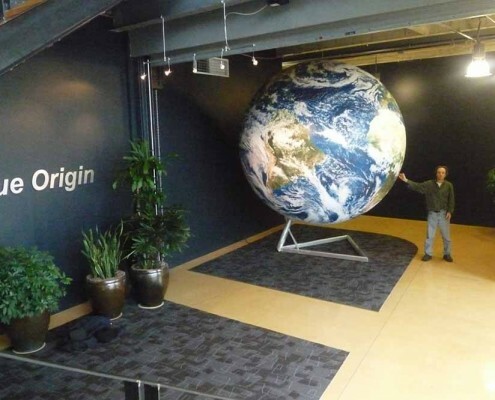 Orbis will make the globe you want. 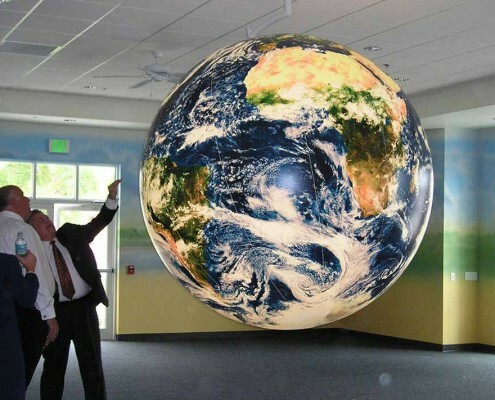 We can obviously make a globe with NASA’s beautiful Blue Marble imagery. 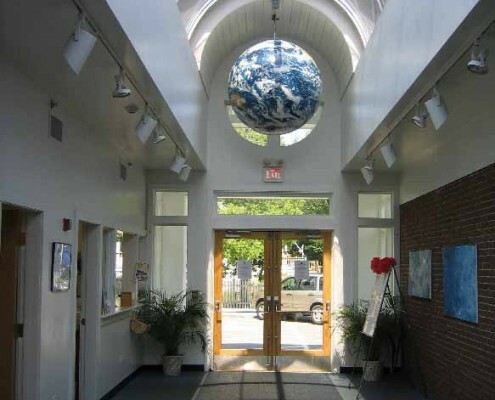 These globes have clouds and do not have borders or place names. 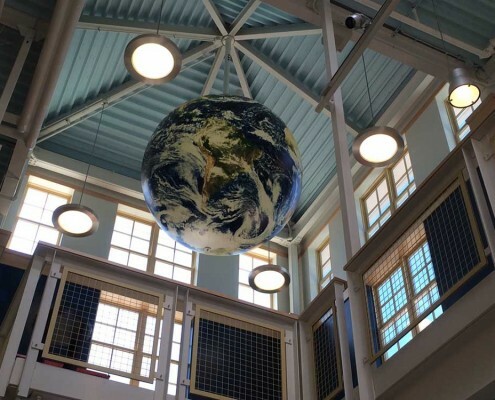 Orbis can also create truly unique, custom globes. 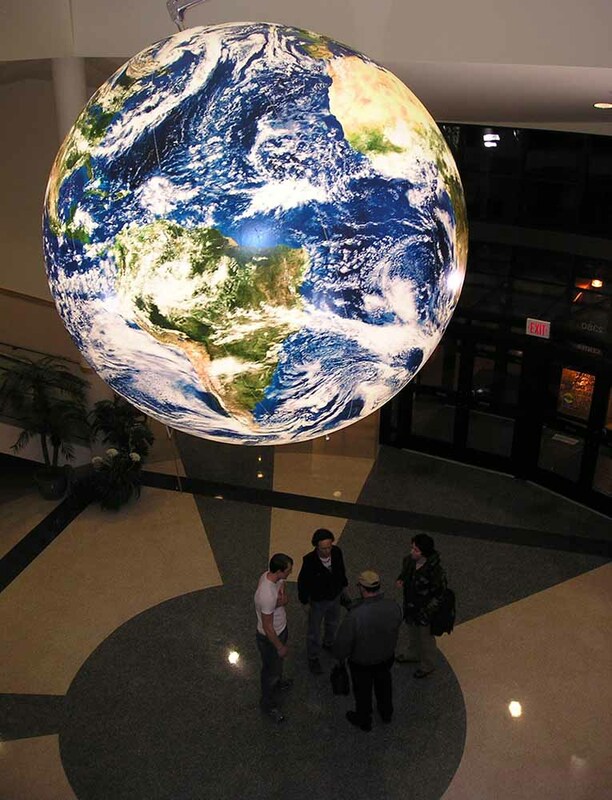 We can make minor changes to the globe graphic, like adding a logo or marking important locations. 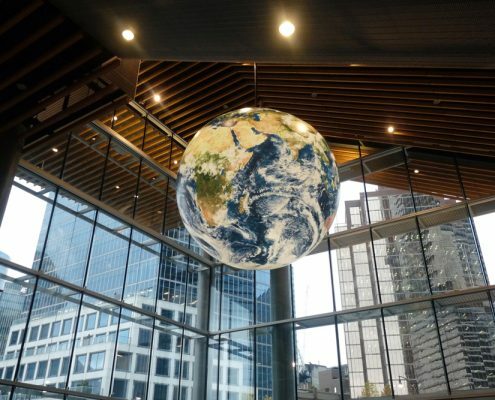 Major alterations can also be made, including replacing the globe graphic entirely. 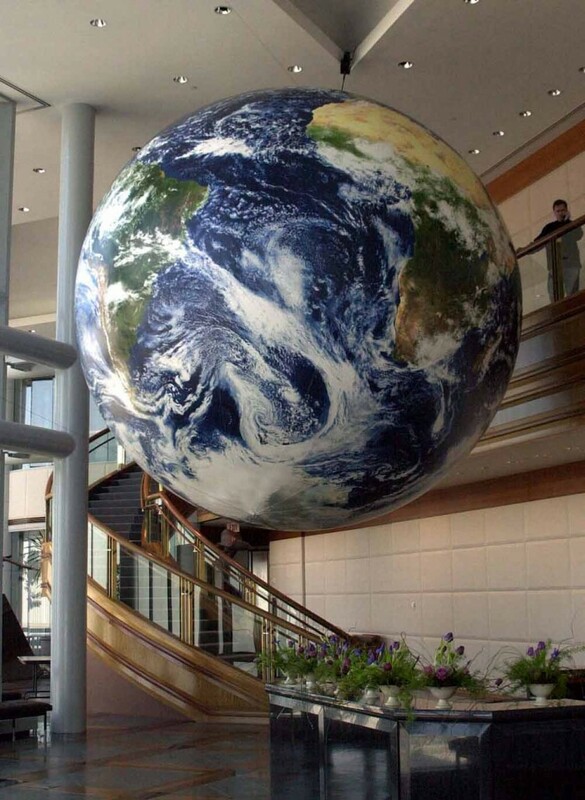 Tell us your globe dream. 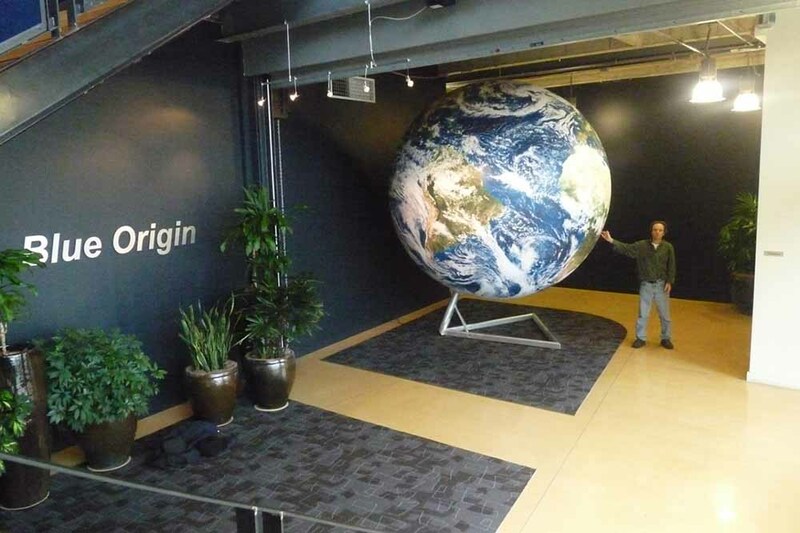 Orbis will turn your graphic concept, artwork and dream into a beautiful giant sphere of wonder. 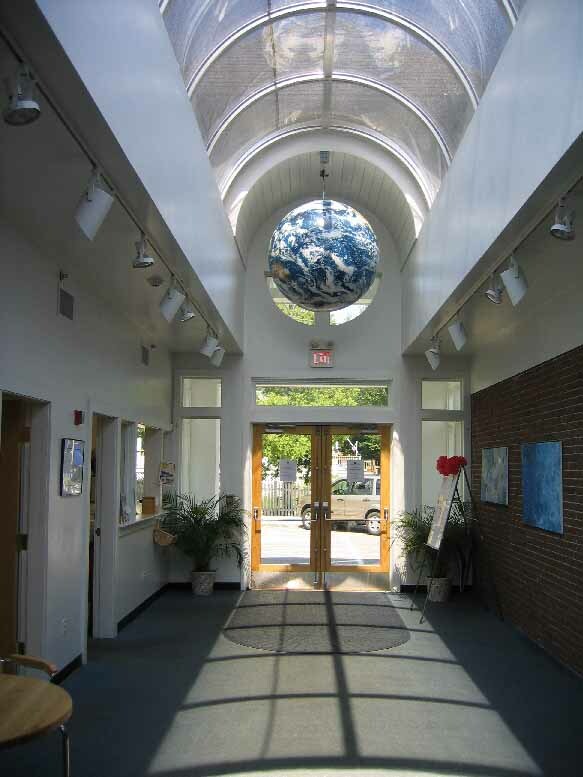 Fill out our Inquire Form to learn more. We’ll get back to you right away, usually within one business day.